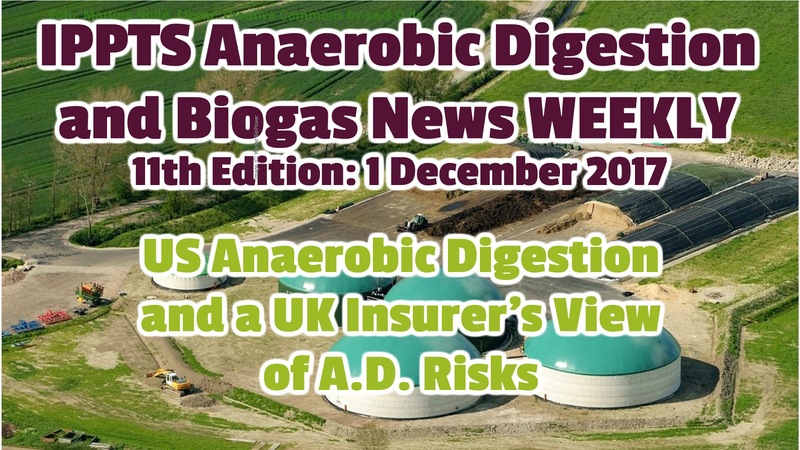 Date: 16 December 2017: This is Issue 13 of the IADAB News Weekly, where we summarise the news of the week in the fast developing Anaerobic Digestion and Biogas Industry. Once again, it has been busy a week for biogas news. ADBA's Chief Executive has been talking about pushing UK politicians to implement sensible energy policies. At the same time she has been describing the UK future for anaerobic digestion. Therefore, we have included this as our first excerpt. Her presentation follows-on from what Lord Deben has been saying to the UK AD industry, which included the message that the industry should be telling the UK government what future emissions reductions policies it recommends. Next. we move to the US for our excerpt, where Longmont, the second largest city in Colorado, is going to convert sewage byproduct (sewage sludge) into fuel. We note that this is yet another US city increasing bio-energy production. Not only will the biogas plant be expected to pay for itself quite soon, but the state authorities are also determined to reduce CO2 emissions. In our third extract we tell our readers about a new microdigester which its manufacturers say will open new opportunities for small-volume organic waste biogas production. We welcome this new player into the microdigester market. For too long the potential of small biogas plants has been neglected in the western economies. Finally, we have news of two new work-starts on Scottish anaerobic digestion systems, these being at Balmenach whisky distillery, and at the Caorunn Gin Distillery. The Balmenach biogas project will integrate with it’s existing wood-pellet biomass boiler, and when completed, will provide enough steam and electricity for 100% of the distillery’s energy needs. 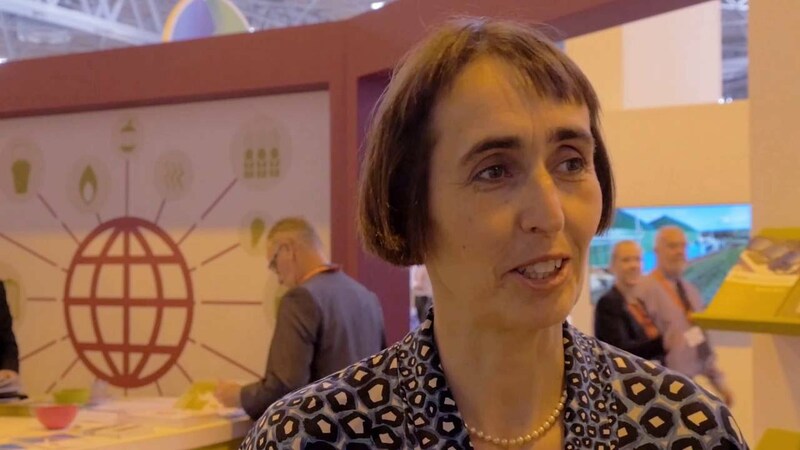 With the dearth of subsidies and volatile political environment, Charlotte Morton shared her views on what lay ahead for the UK’s anaerobic digestion (AD) industry. Of the ten million tonnes of food waste a year in the UK, six million is ‘avoidable waste’. With the government goal of being zero avoidable waste by 2050, Charlotte Morton still sees a place for anaerobic digestion (AD) in a future, minimum-waste society. We will never be waste-free, so AD will be relevant and increasingly so for places that can supply and benefit from AD facilities, like farms. However, the present political environment has not favoured AD and with Brexit obstructing any other policy considerations and making the UK less attractive to investors, the industry has to be thinking about viability without such a supportive framework from the government. An ADBA spokesperson said that in collaboration with UK universities they estimated that an investment of £50 million over 5-7 years in a centre to develop AD technology would be enough to deliver on a promise of exporting equipment and expertise worth £5bn per year. They also said that the advances made would allow AD to become independent of subsidies. A shift in mentality is needed according to Morton. She hopes that the government will be forward facing rather than doing whatever is politically expedient, by investing in industries over the long-term with long-term expectations and sustainability. A methane flare at the Longmont Wastewater Treatment Plant, where installation of a biogas cleaning system will facilitate turning the methane into usable natural gas. Come 2019, Longmont's trash trucks will be powered by an entirely different kind of waste. When wastewater (anything that gets flushed down a toilet or washed down a drain) comes into the Longmont Wastewater Treatment Plant, organic material is broken down by microorganisms in a process called anaerobic digestion. The byproduct of anaerobic digestion is methane gas, 25 percent of which goes back into heating the anaerobic digestion process but the other 75 percent is simply set on fire. "It's the natural gas you get out of your home — methane. But there are a lot of contaminants in that gas so we are forced to flare it,"
said John Gage, Longmont civil engineer. "If you were to burn it in an engine, it would cause all sorts of problems. So it's a resource that, right now, is not being utilized." Instead, Longmont will install a biogas cleaning system that will turn the methane into usable natural gas by compressing it to 3,200 pounds per square inch. Once the system construction is completed in 2019, the city will use the biogas to fuel 11 of Longmont's 16 diesel trash trucks. The 11 trucks will be replaced on the existing replacement schedule. The remaining five trucks will be replaced in 2021. Longmont received a $1 million grant from the Colorado Department of Local Affairs to offset a portion of the costs required for the cleaning system and a $385,000 grant from the Colorado Regional Air Quality Council to offset costs of the more expensive trucks that run on biogas. Running the 11 trash trucks on biogas rather than diesel will mean Longmont won't use 60,000 gallons of fossil fuels per year, according to a city news release. Gage said that the stable and cheaper cost of biogas compared to diesel fuel will save the city money in the long run. "When you look at gas prices right now at the pump, we are seeing $2 to $2.50 per gallon, something like that ... Diesel fuel can get as high as $3 or $4 per gallon," Gage said. "It costs us to treat biogas the equivalent of $1 per gallon. And we can maintain that for the foreseeable future." Longmont would gain additional revenue by selling Renewable Identification Numbers credits to fuel refiners to meet Environmental Protection Agency obligations to reduce the use of fossil fuels. Longmont would generate RIN credits as they produce gallons of biogas. Gage said the plan to install the biogas cleaning system lines up with Longmont's sustainability plan by offsetting the use of fossil fuels and beneficially using methane that is currently just being flared. Gage said there have been discussions with city officials about offering biogas to other entities or to the public in the future. "What we've estimated is that once converted, sanitation will use 50 to 70 percent of the fuel and we'll still have 50 to 30 percent available,"
"We have already been talking about a possible expansion to do a public fuelling station or reaching out to other government or other interested parties that would be able to use our fuel." 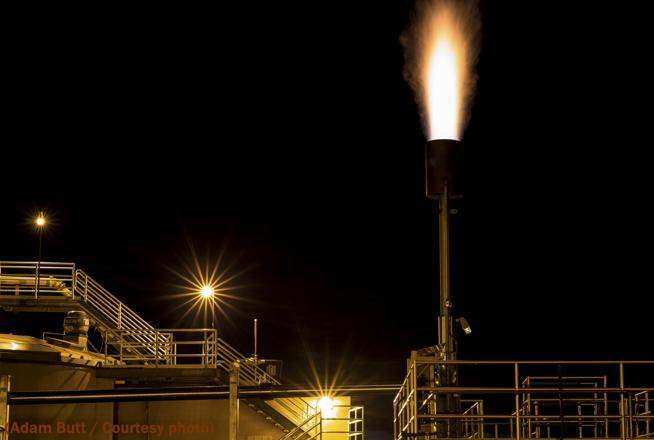 Longmont is the second city in Colorado to use methane from sewage treatment to fuel government vehicles . Grand Junction implemented its system in 2011. 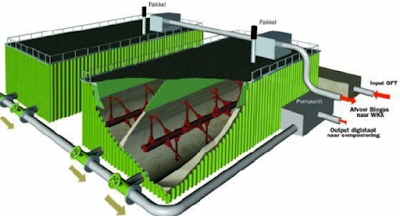 Ontario, Canada,-based biogas project developer CCI BioEnergy has produced large-scale anaerobic digesters for years, but now it has tweaked a design that can process 300 tons a day and shrunk it to a system the size of a shipping container. The idea is for companies with much lower volumes of organic waste to be able tap into anaerobic digestion. CCI, which has developed larger systems mainly for municipalities, is introducing their microdigester to food manufacturers, distributors, farms, a university and office buildings. says Kevin Matthews president of CCI BioEnergy. The microdigester can process between one and five tons of organic material a day. This is brand new technology to North America, says Matthews who is about to launch a system for Ontario Water Centre in spring of 2018. CCI Bioenergy is currently trying to close on two other projects, one at a goat cheese manufacturer to process cheese whey, and one for a university in Toronto to deal with food concessions. The gas coming out of the centre’s digester goes to a gas upgrading unit and from that unit it can go in two directions: it can either go through a pipe into to a boiler to heat the green house, or through a pipe to fuel vehicles. The microdigester technology comes out of England and is called QUBE Renewable, a modular system to process smaller volumes of feedstocks and wastes to accommodate the generator’s volume, which can be scaled up. The system can process multiple organic waste streams including food wastes, manure, and human waste. Having focused on larger systems, CCI put much time into figuring out how to economically scale down the technology, while ensuring its reliability. The plan moving forward is to develop systems for different industry sectors, engaging in pilot and demonstration projects with host entities such as university, dairy, and supermarket chains. Energy Vision, a national non-profit that researches low-carbon energy technologies, recently awarded CCI for its work, with its president, Matthew Tomich, stating microdigestion technology could potentially revolutionise organics waste management. Inver House Distillers has started work on a new anaerobic digestion system at its Balmenach distillery in Speyside, Scotland. The £3m biogas project will integrate with Balmenach’s existing wood-pellet biomass boiler and when completed will provide enough steam and electricity for all the distillery’s energy needs. It is expected to be operational in the summer of 2018. Engineering company Synergie Environ is project manager, while Clearfleau will design and build the new biogas system. We hope you found this week's anaerobic digestion news informative. This will be our last edition of the year, and we won't be back with our next edition until 2018. We would like to take this opportunity to wish all our readers the season's greetings. Please Like, subscribe and leave a comment. Also - Join our mailing list, and YouTube Channel! Lord Deben at ADBA National Conference 2017. Lord Deben in his keynote address to the ADBA Annual Conference on 7 December 2017, said that increased production of more renewable energy from the anaerobic digestion process would be central to policy. More Climate Change/ Carbon Emissions reduction goals would be needed for the UK to comply with its existing commitments. UK policy would be further developed, and he expected this would be set-out in more detail during 2018. Lord Deben is the influential Chair of the Committee on Climate Change and a former Environment Secretary, so these words, coming at the start of the ADA annual conference, were very welcome. The UK AD industry has been very subdued throughout 2017, part due to a lack of implementation of a promised subsidy restoration as part of the UK Renewable Heat Incentive (RHI). The other reason for inactivity has been simply not knowing the details in the small-print of the new restored RHI when it is eventually implemented. Therefore, this was at least some news which brought the hope of increased UK anaerobic digestion plant starts during the latter half of 2018. However, for the industry to gain the confidence to start again to invest in biogas plants at the higher rates seen over the 3 years to 2017, will depend upon the UK government ending its all-consuming pre-occupation with Brexit negotiations. Lord Deben pointed out that throughout MPs and Whitehall, almost all were engaged in Brexit work of some sort. He said that this was leading to the exclusion of other much-needed decision-making. Former Environment Secretary and current Committee on Climate Change Chair Lord Deben has described anaerobic digestion (AD) as ‘central to government policies’ at the Anaerobic Digestion & Bioresources Association (ADBA) National Conference 2017 in Westminster. Lord Deben, a renowned environmentalist who gained prominence among green groups by introducing the 1995 Environment Act and Landfill Tax when Secretary of State for the Environment in the 1990s, gave the keynote presentation at the conference, which brings together AD industry stakeholders with politicians, policymakers, and academics to discuss key issues affecting the AD industry. AD recycles organic wastes and processes purpose-grown energy crops into renewable heat and power, clean transport fuel, and digestate biofertiliser, which can help to restore nutrients and organic matter to soils. “We’ve had a long period in which AD has not been given the advantages it should have been given […] AD is not just a mechanism for providing energy but also makes an important contribution to the health of our soils”. “AD’s story needs to be told much more widely […] AD and bioresources are a very important contributor in the fight to rid ourselves of climate change, improve our soils, and eliminate large amounts of waste”. In a recent foreword for the ADBA’s quarterly member magazine, Lord Deben also described AD as ‘an essential weapon in the war against climate change’ and ‘an increasingly efficient way of completing the system by taking what cannot be reused or directly recycled and giving it real value’. The CCC has previously described injection of biomethane into the gas grid as a ‘low-regret opportunity’. The ADBA National Conference 2017 also featured the launch of ADBA’s AD Certification Scheme, as well as panel sessions on the role of AD in farming, transport, and renewable heat and on different food waste collection systems. In another keynote session, Professor Ian Boyd, Chief Scientific Adviser at Defra, welcomed ADBA’s AD Certification Scheme and highlighted AD’s ability to recycle valuable nutrients including nitrogen, potassium, and phosphorous. Date: 8 December 2017: This is Issue 12 of the IADAB News Weekly, where we summarise the news of the week in the fast developing Anaerobic Digestion and Biogas Industry. Next we report on the encouraging signs for Biogas because Anaerobic digestion is central to UK Government policy, says Lord Deben. Then there is the launch of the AD Certification Scheme, and finally we have news of research into using digestate to fertilise Hydroponically Grown Tomatoes which suggests yet another use for AD facility digestate. The following excerpt (1) leads to a detailed report pdf which has just been published and is available for free download. Despite the awful length of the title, this document would be a good starting point for anyone seeking to obtain a broad understanding with the current global status of anaerobic digestion and biogas production worldwide. Not only that, the report also provides sources for AD plant operating prices, which would be worthwhile for anyone seeking to understand comparative costs for different types of AD plant and feeding these plants with different organic materials. This review explores the current status of the AD technology worldwide and some of the environmental, economic and policy-related drivers that have shaped the implementation of this technology. The UK’s Anaerobic Digestion and Bioresources Association (ADBA) has welcomed the British government’s new Industrial Strategy White Paper, saying that anaerobic digestion (AD) can play a key role in ‘enhancing’ Britain’s industrial capacity. Key features of the White Paper are agri-tech and the circular economy. Anaerobic digestion plays an important role in both sectors by supporting sustainable agriculture and organic resource recovery, ADBA argues. 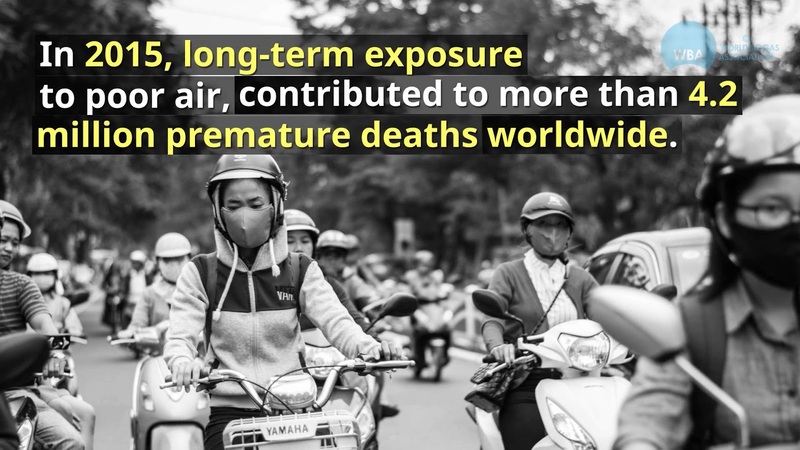 “A linear ‘take, make, dispose’ economy risks eroding the natural capital central to its long-term growth through resource depletion and environmental pollution. The government has therefore pledged to create a new Bioeconomy Strategy to establish a framework for growth in the sector. “The move to cleaner economic growth – through low carbon technologies and the efficient use of resources” is described in the White Paper as one of four ‘Grand Challenges’ for the future. said Charlotte Morton, ADBA CEO. Source: AD & Bioresources Assoc. “We’re encouraged to hear that the government will increase incentives for investment in sustainable agriculture to help grow markets for innovative technologies and techniques. “The government is also right to highlight the benefits of moving towards a more circular economy in which resources are used more efficiently, and a dedicated Bioeconomy Strategy is an important step forward in this regard. As the only recycling option for organic wastes, AD can reduce emissions from waste and turn these wastes into the resources that the UK economy desperately needs." 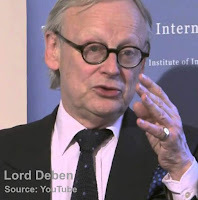 Lord Deben is a renowned environmentalist who gained prominence among green groups by introducing the 1995 Environment Act and Landfill Tax when Secretary of State for the Environment in the 1990s. At the ADBA National Conference 2017, he gave the keynote presentation. The conference brings together AD industry stakeholders with politicians, policymakers, and academics to discuss key issues affecting the AD industry. “We’ve had a long period in which AD has not been given the advantages it should have been given” said Lord Deben. “AD is not just a mechanism for providing energy but also makes an important contribution to the health of our soils. AD’s story needs to be told much more widely. AD and bioresources are a very important contributor in the fight to rid ourselves of climate change, improve our soils, and eliminate large amounts of waste”. 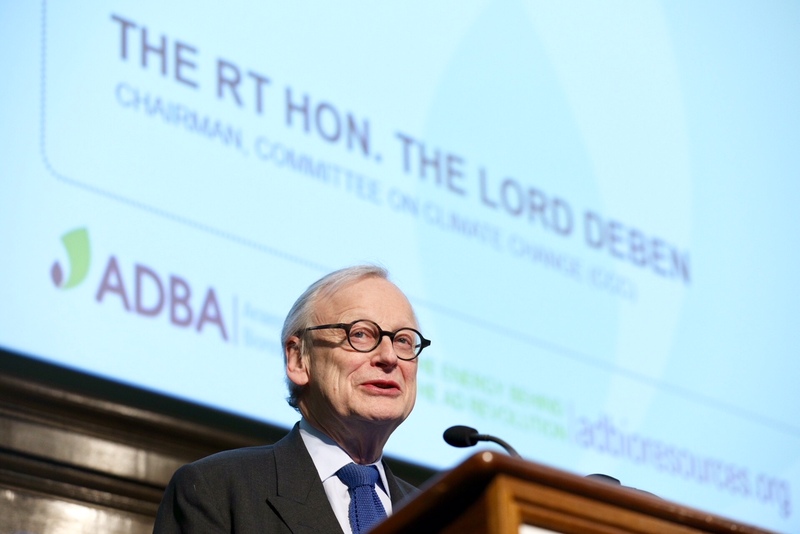 In a recent foreword for the ADBA’s quarterly member magazine, Lord Deben also described AD as ‘an essential weapon in the war against climate change’ and ‘an increasingly efficient way of completing the system by taking what cannot be reused or directly recycled and giving it real value’. The CCC has previously described injection of biomethane into the gas grid as a ‘low-regret opportunity’. The voluntary, industry-led, scheme includes detailed assessment criteria that will allow third-party certification bodies to verify the achievement of good practice at AD plants. It was developed with industry stakeholders, with ADBA calling it the “most comprehensive of its type”. “Seeing ADBA’s scheme progress to the next stage is an excellent example of the industry working together, driving improvement of its own standards and expectations. Anaerobic digestion of tomato culls produces renewable energy (biogas) and a nutrient-rich effluent. Using the effluent from an anaerobic digester to grow tomato plants could offset the cost of synthetic fertiliser. Effluent from an anaerobic digester fed organic waste was analysed for major plant nutrients and used as a nutrient medium to grow tomatoes hydroponically. Tomatoes grown using anaerobic digester effluent had a lower performance than those grown with traditional fertiliser. The predominance of nitrogen in the ammonium form, to which tomatoes are sensitive, explains the observed difference in growth. Means of improving performance of tomatoes grown in effluent are discussed. As the world population approaches nine billion, food producers will be faced with increasing food production without an increase in field space and with decreasing soil quality. In order to provide enough food for a growing population, synthetic fertilisers are used to provide essential nutrients for maximising crop yields. Nitrogen is one of the key limiting nutrients for plant growth, which is commonly applied as a synthetic fertiliser. Atmospheric nitrogen is unusable for most plants. Nitrogen-fixing bacteria maintain a symbiotic relationship with certain legumes and lightning strikes can produce ammonia from atmospheric nitrogen, but the primary man-made process for producing ammonia is the Haber-Bosch process (Smil 2001). This industrial process requires a high input of energy, which presently comes from fossil fuels. Date: 1 December 2017: This is Issue 11 of IADAB News Weekly, where we summarise the news of the week in the fast developing Anaerobic Digestion and Biogas Industry. Advances in Anaerobic Digestion in the US followed by Starkly Realistic Legal Views on Insuring UK AD Plants. This week we have positive news of two US AD Plants, followed by the need to improve UK AD industry's operational record, or else the industry will be likely to suffer high insurance costs or could even become uninsurable. 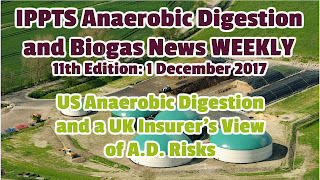 Our topics this week are the advances in the development of two anaerobic digestion facilities in the US, followed by extracts from a Clyde and Co., breakfast briefing highlighting what are starkly realistic legal views on the risks inherent in biogas production, and how those may have a damaging affect on insuring UK AD Plants in the future. In our first article extract, we have more from Michigan State University. They describe how thay have, in their own words "moved the needle on Anaerobic Digestion". And, we are told how A.D. facilities are popping up across the country, including some at college campuses. Michigan State University, in East Lansing, Michigan, says it is leading the way with their own facility that processes between 20,000 and 24,000 tons of food waste annually to generate 380 kilowatts of electricity every hour for the campus, up to 2,800,000 kwH annually. Our second article extract is from Massachusetts and Barstow's Dairy Store and Bakery, where they have expanded biogas production, and receive more than 14,000 tons of food waste annually. In addition they process more than 9000 tons of manure a year from Vanguard Renewables farm. Finally, we include a warning to UK AD plant operators to heed Clyde and Co's, views on insuring the very considerable multiple risks of AD Plant operation. Clyde and Co. say that, "Going forwards, insurers may wish to consider to what extent AD plants fall within their risk appetite and consider whether increased reliance on survey subjectivities, section limits and exclusions may assist in managing their exposure accordingly." It seems to be clear that if there are many more heavy insurance claims submitted for AD plant operations in the near future in the UK. This could easily jeopardise the willingness/ ability of the insurance industry to insure AD plants in the future. Michigan State University, in East Lansing, Mich., is leading with way with a facility that processes between 20,000 and 24,000 tons of food waste annually to generate 380 kilowatts of electricity every hour for the campus, up to 2,800,000 kwH annually. On campus, a lot has changed since the university built its current domestic plant in 2013. Currently, the university is exploring ways to extract better value from remaining digestate. The plan is to concentrate the nutrients in this digestate into smaller volumes of fertiliser, which can then be used on campus cropland and private farms. 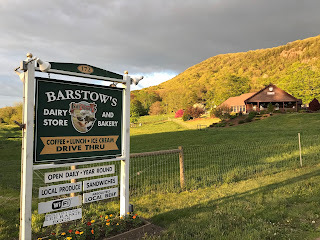 We receive more than 14,000 tons of food waste annually from food manufacturers, processors, and users such as Cabot Creamery, Geissler’s Supermarkets, HP Hood, Wind River, Cains, Garelick, Amenico, and McDonalds. The Vanguard Renewables closed-loop Farm Powered Organics to Energy Lifecycle combines that food waste with more than 9000 tons of manure a year from the into the farm in the in the 600,000-gallon anaerobic digestion tank. The tank operates much like a cow’s stomach with microorganisms in the tank converting sugars, fats, and other compounds into biogas that powers a 300 kW engine annually producing more than 2,100 Mwh of electrical energy, 7,040 MMBTUs of thermal energy, and 30,000 tons of odor-free, organic, liquid fertiliser. The system also sequesters 85% of the greenhouse gases produced on our farm. With the current expansion just completed, we will be at 800kW. This is in large part a result of the growing success of the Massachusetts’ program to divert food waste from landfills and of an increasing interest from food companies to reduce their carbon footprint. Finally, Clyde and Co., while talking to an audience of other insurers, meaning that the following has much to do with the insurance industry becoming more familiar with the risks associated with anaerobic digestion plant operation. They do have a point to make which the industry needs to take very seriously, while they were not addressing this piece to biogas plant operators. So, we strongly suggest that the following sobering thoughts about insuring anaerobic digesters should also be headed by biogas plant operators. Our opinion is that new biogas plant owners and operators may not initially fully realise how carefully these plants must be looked after. They will be, during commissioning influenced by their contractors. Quite understandably, during commissioning the biogas plant contractors who design the plants, are unlikely to be as willing to starkly highlight the real-dangers when biogas plant operation goes badly wrong, as the insurers will. Such disasters as could occur, are unlikely to happen at well-run AD plants, but allow things to get out of control and a biogas plant can do a lot of damage very quickly as has been seen in a couple of high profile UK anaerobic digestion plant installations in the last few years. Clyde and Co. looks at the property and liability exposures associated with anaerobic digesters and considers to what extent an ordinary property and liability policy may respond. The management, maintenance and stocking of AD plants is, ... complex. Explosion, fire, asphyxiation and disease are inherent risks of the digestion process which need to be carefully monitored. AD plants can sustain damage because of design and construction errors, both of which tend to fall outside the scope of a standard first party cover. A damaged AD has the potential to generate costly third party claims. Explosion, for example, may result in extensive damage to neighbouring land and buildings, causing business interruption and lost profits whereas an escape of matter from the AD tank can result in contamination of land and watercourses in private ownership. Whilst a gradually occurring contamination will fall foul of most pollution exclusions, a "sudden" and "unexpected" incident, such as an escape of gas following impact, may be covered by an ordinary public liability policy. Huge potential for third party claims also occurs in cases where the insured does not own the AD but plays a part in operating it for a third party who sells the biogas produced to the National Grid. A typical public liability cover will respond to the insured's legal liability to pay damages. However, in the wake of an AD failure, the insured will often incur loss as a result of having to meet the costs of complying with mitigation measures required by the environmental regulator – the Environment Agency. Whilst AD technology has some significant environmental benefits, it is, on a UK level, a relatively new technology which comes with risks that insureds may be unaccustomed to managing. IMPORTANT: The above extract is a much shortened version of the Clyde and Co., document all readers must read the original pdf before relying on this summary. The authors of this blog take no responsibility for any inaccurate interpretation. This newsletter author's view is that the above extract highlights the reality that all AD Plant operators owe a responsibility to the AD Community above and beyond their normal responsibilities for their staff and the environment. That is to avoid further incidents in the UK which could jeopardise the willingness/ ability of the insurance industry to insure AD plants in the future. We make an appeal to all involved on AD sites to redouble their efforts to act with the utmost care and responsibility in operating their AD plants, seeking expert specialist advice wherever needed, to ensure that their plants don't cause the risks described by Clyde and Co., to become real-life incidents.